TV My Wife Watches: Operation TV TAKEOVER Continues: Season 2 of Louie Starts Tonight! Operation TV TAKEOVER Continues: Season 2 of Louie Starts Tonight! 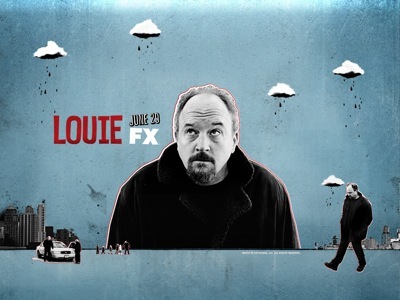 I highly recommend watching Louie tonight on FX - a brilliant show written and directed by Louis C.K. Tonight's the season 2 premiere. This is probably the most serious blogpost I've ever written. Let's change that. Here's a picture of a wolf carving a pumpkin. This wolf's name is Marion! Kevvvvbo, c'mon. It's all about quality, not quantity. Let's get 'em on the next one. Huge Monty "Scone" Sloan fan. Geez Louis(e) Gabulous, can't a guy just put up a short post to recommend a TV show? And a wolf photographer? 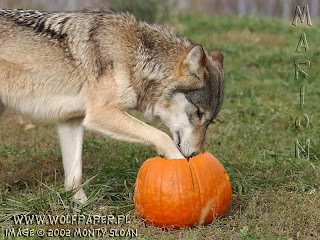 I for one like the wolf, or any picture of an animal doing something. More animal pictures!!!! Anything my wife wants, she gets!! Katie you can have whatever you liiiiiiiike. You can have whatever you liiiiiiike. Man, Louie was TERRIBLE. Chap's was AMAZING.